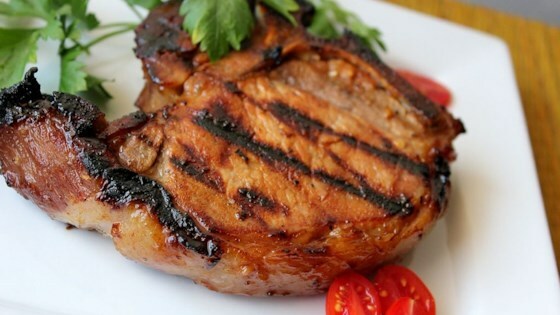 "This dish is what summer and grilling are all about...sweet honey-grilled pork chops are always an entertaining hit." Love, love, loved this recipe...I cut the pork chops up into cubes and marinated them over night, and then grilled them on skewers with fresh veggies like kabobs! As soon as my daughter had a bite she said “five stars”. I thought the marinade added wonderful flavor without overpowering the pork. I marinated it for six hours which was perfect for us.